In an era where futuristic arcade racers like F-Zero and Hydro Thunder have largely disappeared, Fast Racing Neo seeks to reignite that spark of wonder and excitement these titles of yesteryear once offered. 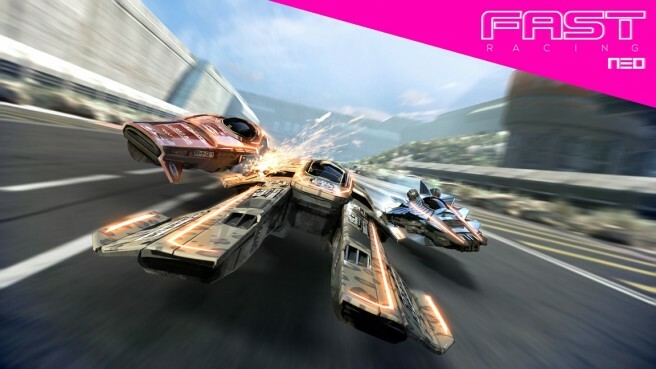 At first glance, Fast Racing Neo might look like a direct F-Zero successor under a different name and from a different developer. The game boasts a dozen hover racing vehicles, tracks vary from desert domains to space stations, slick ice-capped mountains, mining facilities connected by giant tubes, and jungle vistas with ninety degree inclines. Each of these vehicles handles a bit different from the next. Some are quick on acceleration, but have lower top speeds, and vice versa. Some handle sharp turns on a dime, while others have longer and heavier frames that force a larger turn radius. But each vehicle is capable of blazing through gorgeous environments at incredible speeds, all without dropping the framerate below a perfect sixty frames per second. It’s a bit of a shame that the vehicles can not be given alternate color schemes, but their names and designs do well to pay homage to the era of gaming that inspired them. Track layouts similarly feel the part of F-Zero GX’s offerings, and are, in some cases, even more challenging when attempted at the higher speed settings. Not unlike Mario Kart, the Subsonic, Supersonic, and Hypersonic ‘difficulties’ have less of an impact on the capabilities of the opponent racers’ A.I., but rather increase the speed at which everyone zips along the track. Fast Racing Neo avoids a ‘rubber-band’ catch-up system, so there are rarely rival racers that follow closely behind you for the four tracks within any single cup. This of course also means that you as a player still need to shoot for the front of the pack, as the overall rankings are less predictable than in other arcade racers. Fast Racing Neo controls with buttery-smooth precision, though as mentioned, no two vehicles control in quite the same fashion, so it may take a few runs to get the feel for which vehicle is best suited to your personal play style. Similarly, each course dishes out something new as you progress, and the best way to beat the competition is learning a track’s ins and outs through a trial-by-fire approach. Fast Racing Neo, oddly enough, also gives a nod or two to Ikaruga and other shoot-‘em-up games, with the incorporation of a color-shift system. Certain boost and jump pads are blue, others orange, and you must shift between the two on the fly to make the most of these. Jewels scattered across the track, meanwhile, will fill up your boost gauge, which you can then utilize whenever you so choose. In the event that you crash while attempting a jump, the game quickly respawns you at the section of the race track closest to where your machine exploded. You are granted a small amount of boost to try and catch back up with the competition. An unlockable Hero Mode ups the difficulty even further, as it demands players manage their boost meter as a shield meter as well (not unlike the F-Zero series), as well as finish in first place to further progress. It’s a bonus mode for the most determined of players, those who haved proved their skill by completing all of the previous difficult settings. Fast Racing Neo does include online play, wherein players vote from a limited selection of courses. Their vote is then cast into a pool with the votes from each of the other players, and selected roulette-style, not unlike Mario Kart Wii’s online selection process. However, there is currently no way to vote for the difficulty/speed setting, and the game appears to default to the lower end of that. Despite rather bare-bones menus, the game makes up for this with vehicles and courses being covered in gorgeous, shiny visuals, making Fast Racing Neo one of the best looking titles on any console this generation yet. The techno soundtrack is a great, adrenaline-pumping match to the game’s sci-fi setting, and further cements Fast Racing Neo as a worthy successor to a genre that has largely fallen into obscurity. Gaming, Anime, and Comic Book Update: "See You, Space Cowboy..."
2015 saw many major titles delayed into the following year. From Star Fox Zero, to the new Legend of Zelda, and even Persona 5, the holiday game offerings for this Fall and Winter were slim compared to years past. Those aforementioned Wii U titles, as well as the Shin Megami Tensei x Fire Emblem title, will certainly be purchases for me this coming year. 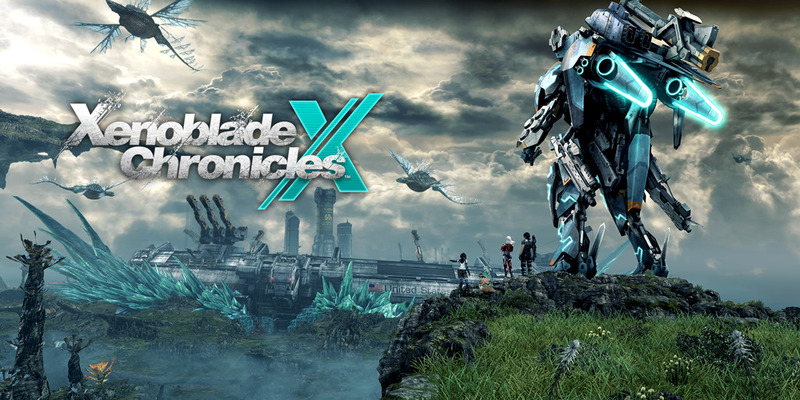 I also recently picked up Xenoblade Chronicles X. While I’ve spent a decent amount of time with it already, given how long the game is reported to be, I highly doubt I will get around to reviewing it until January, at the very earliest. 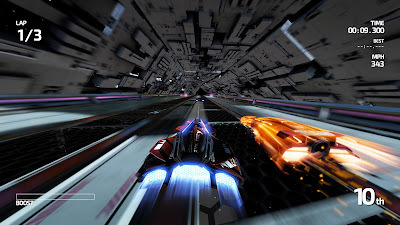 Fast Racing Neo, meanwhile, will likely be my last game review to be posted for 2015. It has managed to impress me so greatly that I have no doubt that it will land in my top 5 games for the year. I also recently purchased SteamWorld Heist for the 3DS, which is reported to last around 13 hours or so. 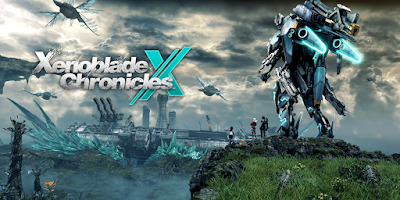 I’m not sure if I will get a chance to write up a review for that game by the end of the year, so for the time being, given how I intend to continue devoting most of my gaming time for the next month or so to Xenoblade Chronicles X. Also on the radar for early 2016 will be Shin Megami Tensei IV, as I recently added it to my 3DS library as it was on sale in the eShop. I’ve never played a core SMT title before, but my experiences with the Persona series that spun off of it have been largely positive thus far. On the anime front, while I did manage to start a number of series this year, I didn’t finish nearly as many as I had hoped. This was due in part to my trying to juggle too many series at once, and also partly due to personal events outside of the blog that demanded my attention more so than my viewing of these anime. As such, I hope to deliver quite a few anime reviews early next year, but am expecting to cut my year-end anime countdown to a ‘top 3’ this year, instead of my usual ‘top 5’. On the comic book front, however, I manage to crank out quite a few more reviews than I initially expected. The short-lived nature of many of Marvel’s Secret Wars spinoff series helped bump the overall number of comic book reviews up significantly, while I was still able to devote time to more intense and lengthy reading material, like Black Science and Age of Apocalypse. I still have a number of comics that I picked up at this year’s Grand Rapids Comic-Con that I have not yet begun to read through, and those will most likely make for some of my earliest comic book reviews in 2016. The remainder of the year, meanwhile, remains largely ambiguous. No doubt I will continue reading Black Science, Tokyo Ghost, Nova, and Guardians of the Galaxy, but there are a couple of series I’ve had my eye on that may serve to replace Saga on my reading list. The initial reveal of the Final Fantasy VII remake was met with seemingly unanimous applause just a few months ago. Now that details of its release format and gameplay have been revealed, it seems fans have become a bit divided over this bold reimagining. I have yet to complete the original PS1 version of Final Fantasy VII, but the good third or so of it that I have played, I very much enjoyed. I still prefer Final Fantasy IV, but I cannot deny how well VII has aged, nor can I deny its role as one of the most popular and critically-acclaimed video games of all time. Which brings me to my first point: given just how well-liked Final Fantasy VII is, someone somewhere was going to be let down with at least one decision or another. It’s the nature of the beast, and probably part of the reason that Square Enix was so apprehensive to try and recreate this game in years past. Even less heavily altered updates to classic games like the 3DS ports of the N64 Legend of Zelda titles were met with criticisms regarding changes made to their save systems and the inclusion of helpful hints for gamers who may have been too young to have experienced Ocarina of Time and Majora’s Mask during their original release. Also, Final Fantasy VII is a very large game, in both scale and assets. This can be said about most Final Fantasy titles, yes, but each of the areas that Cloud and company visit are full of detail, with many rooms or sections to explore, not to mention the vast expanses beyond the walls of Midgar. And given that the developers intend to add more content than was originally included in the PS1 release, it kind of makes sense that they would want to take their time and stagger the release process instead of dropping it all at once, with less content than they had planned. So long as the remake of Final Fantasy VII is released in reasonably-sized chunks at a relatively consistent rate, I see no problem with this plan. If anything, the feedback Square Enix receives from each installment will help to improve their efforts on the next one. I admit, I’m not entirely sold on their decision to utilize a new battle system. In my opinion, ATB is one of the best battle systems in any JRPG to date, and as the old saying goes: “If it ain’t broke, don’t fix it.” At the same time, the recent gameplay trailer only offered us quick glimpses of the new battle system, and I don’t think anyone outside of Square Enix is entirely sure as to how the combat works just yet. I’m a big fan of the character designs for Cloud and Barret. 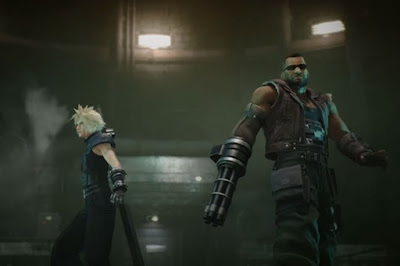 Barret is a reasonably-proportioned human instead of some cartoonish hulking goliath, while Cloud looks tall and thin, much like his in-battle character model from the PS1 version. I feel their voices are also incredibly appropriate, and so far (fingers crossed that this carries on through the rest of the remake) Barret does not appear to act the part of the racist caricature that he was in an era gone by. Obviously, only time will tell how the ultimate end product looks and plays, but I feel that this remake has quite the potential to do its original incarnation justice, and perhaps even improve upon some of the world’s locations and character interactions.